Sheila M. Puffer is University Distinguished Professor at Northeastern University, Boston, USA, where she is a professor of international business at the D’Amore-McKim School of Business. She is also a fellow at the Davis Center for Russian Studies at Harvard University, and has served as program director of the Gorbachev Foundation of North America. She is currently a visiting research professor at the Graduate School of Business at Stanford University where she is studying Russian-speaking professionals’ contributions to the US innovation economy. Dr. Puffer has been recognized as the #1 scholar internationally in business and management in Russia, the former Soviet Union, and Eastern Europe according to a 2005 Journal of International Business Studies article analyzing 13 leading academic journals from 1986-2003. She also ranks as the #1 most published author (tied) in the Journal of World Business from 1993-2003. Dr. Puffer has been ranked in the top 5 percent of authors worldwide who published in the leading international business journals from 1996-2005, according to a Michigan State University study. She was also ranked among the top 100 authors who published in Administrative Science Quarterly from 1981-2001. Dr. Puffer has more than 150 publications, including over 70 refereed articles and 11 books. She served as the editor of The Academy of Management Executive as well as a member of the Academy’s Board of Governors from 1999-2002. 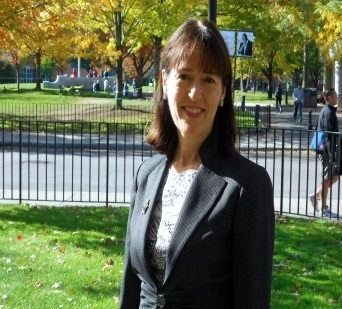 She worked for six years as an administrator in the Government of Canada and has consulted for a number of private and nonprofit organizations. Dr. Puffer earned a degree from the executive management program at the Plekhanov Institute of the National Economy in Moscow, and holds BA (Slavic Studies) and MBA degrees from the University of Ottawa, Canada, and a Ph.D. in business administration from the University of California, Berkeley.